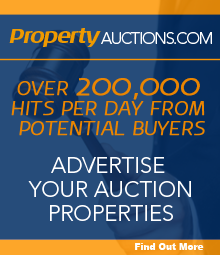 The first major commercial auction to take place after the EU referendum was held by Allsop Commercial on 6 July, and signs were that little had changed, with 82% of the lots on offer being sold at a total of over £63 million. Of those, 17 sold for in excess of £1 million each. Highlights of the auction included a freehold corner building in London W2 comprising three shops and nine flats, which sold for £2.4 million (the highest sale price of the day) at a yield of 4.2% and a parade of six shops, six flats and the potential for further residential development in Fleet, Hampshire, which raised £1.695 million at a yield of 7.13%. Partner and Auctioneer Duncan Moir commented: “Our auction attracted more attention than usual, with people watching closely for an indication of market sentiment following the EU referendum. Pleasingly it was very much business as usual, with confident and competitive bidding from the start. Allsop Commercial’s next auction will take place on Monday 10 October at The Berkeley, Wilton Place, London SW1X 7RL.